The 36-floor Fairmont Baku has opened in the Flame Towers complex with 2,500m2 of meeting space. Fairmont Baku lies within one of the three 244m Flame Towers: an award-winning new development that is now the tallest building complex in Azerbaijan. 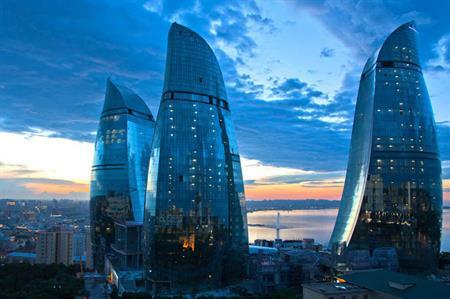 The Flame Towers’ three columns are a symbol of Azerbaijan, which is known as the 'land of fire'. The hotel has opened with an initial offering of 140 rooms and suites – out of a total of 318 – with views of the city of Baku, the old Inner City or the Caspian Sea. The hotel has more than 2,500m2 of flexible meeting space, including a Grand Ballroom that can be divided into two or three sections, a Junior Ballroom, two boardrooms and seven additional meeting rooms. The meeting and banquet area of Fairmont Baku features cutting-edge AV technology and wireless internet. The hotel has four restaurants – a speciality steak house and a French patisserie, as well as a bistro and a jazz bar.